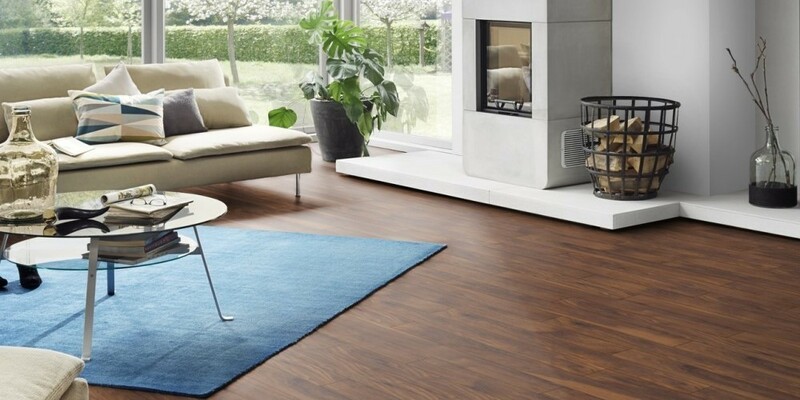 Laminate flooring consists of 4 basic layers, which are mutually connected under high pressure. Overlay is a transparent paper foil soaked in artificial resin, which is applied over decorative layer. It is required to ensure required properties of laminates such as strength, resistance to wearing, light and moisture. Decorative layer is actually paper that the selected pattern is printed on. This is the visible layer which gives the laminate its final appearance. It is placed on the top of the core board. This layer most often affects the selection of laminate all in order to meet customer’s requirements in terms of aesthetics. Core board – HDF panel is used as the core layer of the selected laminate. This core board gives strength to the laminate, and it also ensures good adhesion to the backing layer, as well as stability and moisture resistance. Backing or stabilizing layer is placed on the bottom side of the core layer. Its purpose is to keep the tension balance among the layers placed on the top of the core layer. 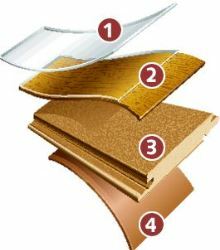 In addition, it protects the laminate from moisture from the substrate. This prevents the deformation that could result from absorbing moisture. It is made of resin-impregnated paper. Floors executed in this way are characterized by resistance to different types of influences. First of all, they are resistant to mechanical influence (various types of scratches and impacts), chemical influence (UV resistance) and thermal influence (resistance to high temperature). Such floors are easy to clean and maintain and are suitable for commercial and residential use. We offer Kronoflooring, Egger and Yildiz Entegre laminate floorings.